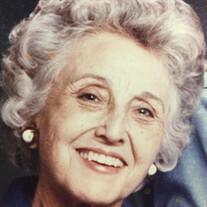 Book of Memories –> Obituary/Death Notice Maps & Directions Tributes/Condolences Place a Memorial Candle Family Login Margaret Potter June 06, 1915 – March 04, 2018 BARRE-Margaret W. Potter ,102, of Barre died Sunday March 4,2018 in the Worcester Health Center. WORCESTER-Edward J. Vallee, Sr, 84, died peacefully on Thursday, March 1, 2018. Arrangements are incomplete at this time. LYNN — Leo Francis Curtis, a longtime resident of Lynn, passed away on Feb. 24, 2018 at the age of 90. Born in Lynn on Jan. 2, 1928, he was the son of the late Lawrence and Ellen (McGrath) Curtis.